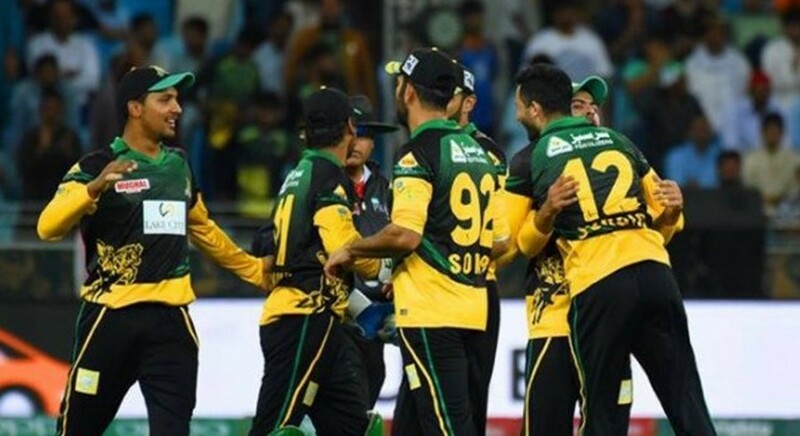 Multan Sultans are the newest team on the block in the Pakistan Super League (PSL) as they will be featuring for only the second time in the competition. The franchise has been in the news from the past six months but for all the wrong reasons and will go in the fourth season of the PSL with new team owners. However, that seemingly did not affect their preparations for the mega event as their acquisitions in the drafting process made them a real powerhouse in the event, which has the ability to beat any team on their day. The team will be led by veteran all-rounder Shoaib Malik, who not only has the experience of winning T20 competitions during his time with Sialkot Stallions as a captain, but also has the experience of playing in all major T20 leagues in the world. Sultans went in the first season with specialists and it backfired completely as they only managed to win four out of 10 matches and faced an early exit. However, this time around, the team which represents South Punjab have made important purchases in the drafting process. In the batting department, the presence of experienced Malik alongside in-form Shan Masood will bring the calmness required at crucial moments, whereas the presence of explosive all-rounders in the shape of Shahid Afridi and Andre Russell will give Sultans the luxury of a good finish at the back end of the innings. In the bowling department, the presence of experience in form of Mohammad Irfan and Junaid Khan will give the team more than enough in the pace-bowling options, whereas young Qais Ahmed can prove to be a deadly weapon alongside Afridi in the spin department to form more than potent spin-attack. With such versatility, Sultans surely have a squad which can challenge any team and it won’t come as a surprise if they lift the title come March 17. Sultans’ one area of weakness will be their lack of depth in the squad, which could harm the team in the competition just like it did in the previous edition. The franchise can be found wanting if their squad depth is tested in case of any injury to their star players in the playing eleven, such as Malik, Afridi, Russell or Junaid. Therefore, the team management will have to make sure that their key players will get all the rest they need during the competition, so that they will stay fit and play an important role during the final stages of the tournament. Andre Russell is the player to watch out for in the tournament for Multan Sultans. The West Indies international is a proven match-winner in the shortest format of the game and is coming after impressive performances in the recently concluded Bangladesh Premier League (BPL) where he scored 299 runs at an average of 33.22 and claimed 14 wickets as well. Russell’s ability to change the game with his explosive batting lower down the order makes him a real asset for the franchise in the upcoming competition and Malik will be hoping that the 30-year-old will stay fit as he is the kind of player who can help the side in winning their first-ever PSL title. Malik’s captaincy in the shortest format of the game is well-defined. The 38-year-old’s captaincy style is more of a reactive than proactive in nature as he has the knack of coming up with different field placing’s to unsettle the batsmen. As far as his batting is concerned, Malik flourishes under the captaincy role and likes to lead from the front in the 20-over format. In the previous edition, Malik scored 224 runs in eight innings at an average of 37.33, which was the highest by any batsman from the franchise, and also had three wickets to his name. Overseas: Andre Russell (West Indies), James Vince (England), Qais Ahmad (Afghanistan), Nicholas Pooran (West Indies), Lauri Evans (England), Daniel Christian (Australia), Tom Moores (England).